Back at Lammas, disaster struck. 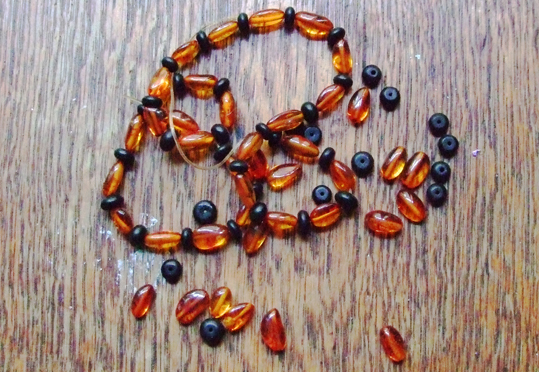 My amber and jet necklace broke. I was at a camp with some fellow witches where I had been wearing my necklace. When I took it off one evening, the string broke. Beads scattered everywhere and, despite searching the ground for hours, one piece of jet seemed to be completely lost. A broken necklace and a lost bead might not seem such a huge disaster in the great scheme of things, but I was very upset. It was an item of jewellery that had a great deal of significance to me within the craft as well as being something beautiful that I loved. 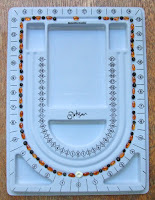 What stopped me immediately restringing the necklace was the missing bead. 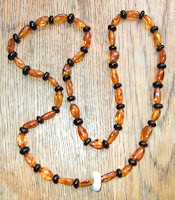 In order to get a balance of amber and jet beads there needed to be an even number. 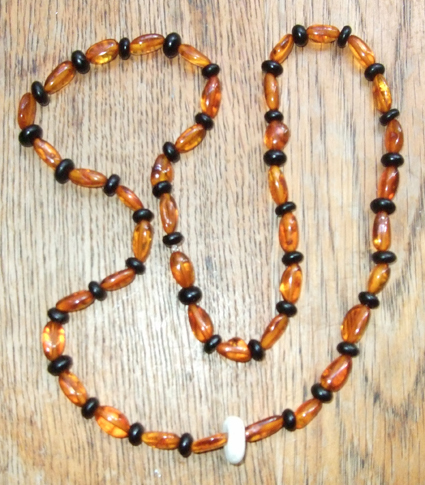 I could have left out one of the amber beads, but that didn't seem quite right. It also didn't feel right to simply buy a new jet bead. Then, at the end of the summer, I found a tiny stone with a hole when I was exploring rock pools on the Sussex coast.It wasn't jet - it was probably chalk - but stones with holes have their own meaning. I knew I had found the thing to replace my lost bead. In traditional folklore, holey stones offer protection, among other things. It might not look quite as professional as a proper bead, but magically it was perfect. At the Autumn Equinox I restrung my necklace, including my stone with a hole. The equinox is when the day and night are of equal length - the perfect time to make a necklace that balances both the light and the dark. 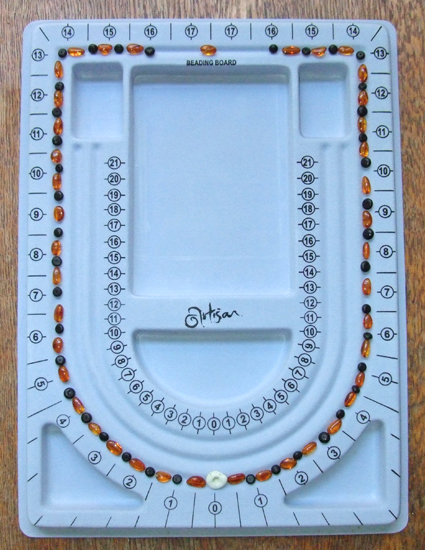 First I set everything out on a beading board, then I used a proper beading needle and elastic thread to string them together. You can see the finished result on this post. That was my Autumn Equinox magic and I will now wear my renewed necklace with even greater happiness than before it broke.